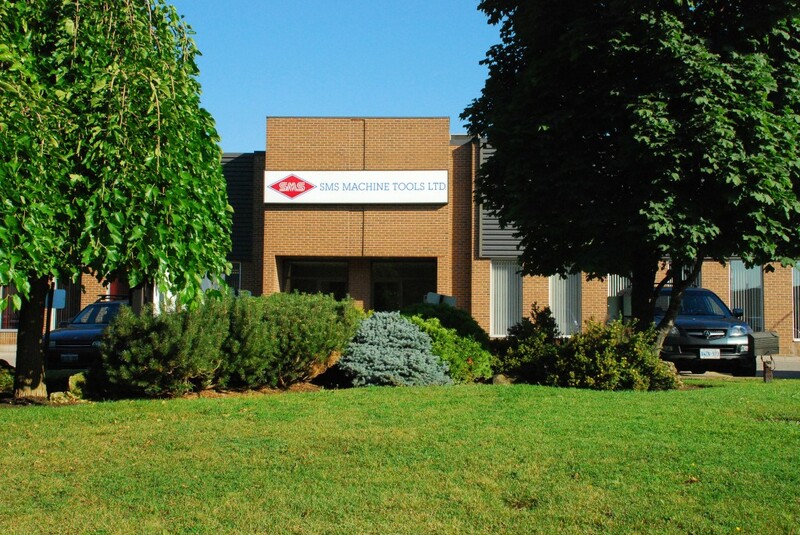 Our facilities - SMS Machine Tools Ltd.
Where we’re happy to accommodate drop-ins and frequently hold in-house demo days in our 30,000 square foot building complete with showroom, warehouse and training area. Sign up for our newsletter to be informed of all our upcoming events. SMS’ 6,000 square foot show room is constantly changing and has machines under power and ready to demonstrate at all times. SMS believes that having machinery in stock is vital to the success of its customers. Our 20,000 square foot warehouse is packed with over $2,000,000 worth of the latest in CNC equipment. Our parts department is staffed with courteous and knowledgeable people who want to help keep your equipment running. Our parts and tooling inventory is in excess of $2,000,000 and if we don’t have something, we will get it quickly. SMS knows that our customers are only making money when their machines are running and it is our goal to keep downtime to an absolute minimum. SMS knows that the sale of equipment does not stop at the delivery of the machine. In this regard we have a training room dedicated to the instruction of CNC programming courses. These courses are held at regularly scheduled intervals and are free with the purchase of a new machine. It’s getting harder and harder to find qualified people to set-up and run CNC equipment — let SMS take some of the burden off you. We have a fully equipped tool room dedicated to producing application specific turnkey and fixturing solutions to allow you to run more equipment with less staff. Contact us today to find out how we can help you.